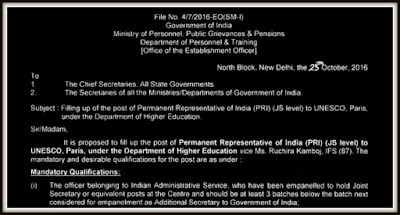 “The officer belonging to Indian Administrative Service, who have been empanelled to hold the Joint Secretary or equivalent posts at the Centre and should be at least 3 batches below the batch next considered for empanelment as Additional Secretary to Government of India”. The letter further said that the post may be circulated amongst eligible officers and the applicants need to apply within one month. Before Kamboj took charge as Permanent Representative of India to UNESCO in April 2014, an IAS officer of 1979 batch — Vinay Sheel Oberoi who held that Paris-located post. Oberoi, now a union secretary in HRD, was given extensions for personal reasons and he held the post for four years — between 2010 and 2014. 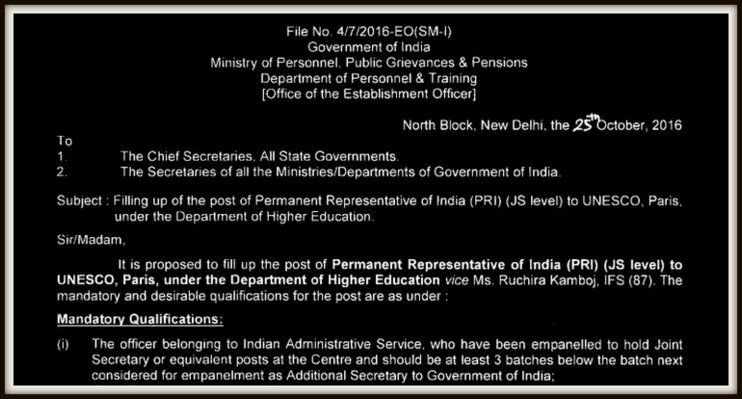 Yes, this UNESCO post was always considered an IAS post, but earlier advertisements never mentioned it categorically that only IAS officers could apply for the post. Had it been so, Kamboj would not have been selected at all. In fact, there are a number of such foreign posts where all Group A services officers are eligible to apply though ultimately IAS officers get selected in most of those. But the question is: Will the eligible criteria for those foreign posts too see a change in the days to come? It is with great difficulty, former PR Vinay Sheel Oberoi could displace his predecessor another IFS lady. Shameless behaviour by IAS lobby. It also highlights their insecurity. Why only IAS? Are they gods? 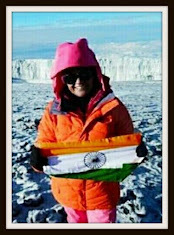 Its time IAS hegemony is thrown out like the British imperialists were thrown out of India. how much revenue do you bring?